Welcome to the Friends of DalesRail website. We are a walking society, who specialise in organising and leading guided walks for the general public. Most of these walks use railways in the Yorkshire Pennines; this means that we can easily do linear walks. 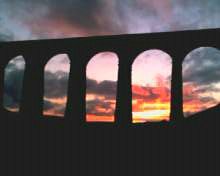 Our core activity is our programme of guided walks from the Settle-Carlisle railway line, but we also use several other of the local railway lines. These walks are held on weekends and usually range from 7 to 18 miles, so there is something for everyone. Our guided walks are open to everyone and we warmly invite you to join us on our excursions into the Pennine countryside. The following pages of this website give you more information about all our activities. Please feel free to join us on any of our Walks, but please be sensible and choose a level of walk at which you feel comfortable.